In 2013 HMRC decided to replace CHIEF, their ageing customs system. They planned that their new system, CDS, would handle all customs declarations from January 2019. A new NAO report highlights serious new tax management risks arising from Britain’s decision to leave the EU customs union in March 2019. As a chartered accountant, chartered tax adviser and chartered IT professional, Donald Drysdale questions whether HMRC’s new customs system will be ready for Brexit. In October 2013 the EU changed its customs duty procedures and introduced a new Union Customs Code (UCC) requiring electronic communications by December 2020 between customs authorities and all economic operators – that is, all parties involved in the international movement of goods. In 2013/14 HMRC started planning to replace their customs system known as CHIEF (Customs Handling of Import and Export Freight). Updating it was considered too costly and would have caused significant delay in meeting the UCC requirements. HMRC’s hope that their new system, the Customs Declaration Service (CDS), will be able to handle all customs declarations from January 2019. It will collect customs and excise duties and VAT from cross-border transactions that are currently worth around £34 billion annually. 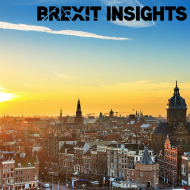 In March 2017 the Government triggered Article 50 of the Lisbon Treaty, having signalled its commitment to leave the EU single market and the EU customs union and its intention to seek a new customs arrangement from March 2019. HMRC anticipate that these changes might increase the number of customs declarations fivefold, from 55 million to some 255 million each year – many more than the maximum of 100 million which CHIEF can currently handle. However, other scenarios exist which may result in different volumes. Brexit has brought forward the date by which CDS must be fully implemented. It must now be ready, not by the end of 2020 when EU member states have to implement UCC, but by March 2019 when the UK leaves the EU and a new customs arrangement may apply if no transitional arrangements are in place. CDS is based on the UCC. This approach is already familiar to industry and compliant with World Trade Organization (WTO) rules. HMRC have only two months between January 2019, when they plan to complete the transition to CDS, and March 2019 when the UK plans to leave the EU. This allows little scope for contingency time should the programme overrun or unexpected problems occur. HMRC have chosen third party software to manage customs declarations and calculate tariffs, and integrating new systems with one another could be challenging. Core elements of CDS have not yet been tested at the volume and intensity which may be needed, and therefore may not meet the UK’s requirements. HMRC have significant gaps in their knowledge – for example, the number and needs of the smaller and less established traders who might be affected by the customs changes for the first time. HMRC do not yet have a detailed plan for a phased transition, which they hope to begin by August 2018. Nor do they know how many of the estimated 180,000 traders currently interacting solely within the EU will make customs declarations under a new arrangement with the EU, or will be ready to do so from March 2019. HMRC’s approach relies on plans being regularly maintained and monitored to prevent slippage of key milestones. This requires skilled staff, trained in the methodology, to ensure risks and dependencies are identified and monitored. However, the CDS programme is operating with a significant number of staff vacancies. The project may incur additional costs not covered by funding agreed to date. Furthermore, its business case does not include costs that might be required to upgrade CHIEF to develop contingency options. The NAO emphasises that continued smooth operation of cross-border trade is critical to the UK’s economy and consumers – for example, maintaining the flow of perishables such as food products. There would be a risk of disruption to the flow of goods between the UK and Europe if a working customs system was not in place after Brexit, or if it could not handle the actual increase in volumes. This could also affect the government’s plans to increase international trade. Strangely, the NAO report makes no mention of a solemn warning delivered in March this year by Andrew Tyrie, then Chairman of the House of Commons Treasury Committee. Tyrie wrote that, in just 67 days, confidence in the successful implementation of CDS – a project that HMRC itself had described as 'business critical' – had collapsed. On 25 November 2016, progress on the project described as ‘successful’ and ‘on time’. On 31 January 2017 it was reported as “in doubt”, with “major risks”, and needing “urgent action”. Public sector IT projects have included some notorious failures, so even some delivered late and over budget are claimed as successful. However, the timescale for the CDS programme allows virtually no margin for error. It remains unclear how it can be kept on track, given current staff shortages and the wide range of uncertainties that exist. Following the Government's latest proposals to the EU regarding a transitional customs union, it seems that this range of uncertainties is becoming ever wider. The NAO has advised that the whole of Government, not HMRC alone, must choose now whether to do more to mitigate the risk of CDS being needed but not ready in time. This might require prioritising of funding and resources to speed up progress with the programme, and supporting HMRC to develop contingency options. The NAO's report concludes that it is unreasonable to leave HMRC to decide alone what mitigating actions are needed. Government as a whole must decide what priority it attaches to the CDS programme, and whether any extra costs linked to having a suitable customs system in place by early 2019 are an insurance premium worth paying. Brexit and trade: where do we start?